Courtney Krishnamurthy has been practicing yoga for nearly 20 years. During her first year of art school she discovered The Sivananda Companion to Yoga. Intrigued, she began to tinker with the various asanas in the book, and then she began to dive a little deeper into the practices outlined, incorporating pranayama and meditation into her practice. From the early days of art school through her days as an online marketing professional, yoga was a constant for no other reason than “it feels good”. There came a point in Courtney’s practice where she began to discover a new sense of clarity and quiet in her mind. Her practice became the break in her day to hit the reset button and stop all the thoughts of work and to-dos so she could simply enjoy her evening with her husband instead of being constantly “on”. It was also during this time that little visions would pop into her mind during practice that delighted the artist in her. One day, while in shoulderstand, she pictured fairies attempting to push and pull and yank an om symbol higher and higher toward the crown of her head. Thus, Om Fairy was born. Courtney’s analytical side wanted to understand more about the effects of her yoga practice, so in 2013 she attended Avalon Yoga’s 200-hour yoga teacher training. The training was a wonderful dive into a variety of yoga styles as well as a deeper look at the physiological and neurological aspects affected by the practice. She went into this training merely wanting to deepen her own practice, but thanks to getting many chances to teach during the training, she came out knowing there was so much more to share and learn with others about how yoga can change your life. She has continued to study both the physiological and the more esoteric and philosophical aspects of yoga, sound, and meditation. You can see the complete details about Courtney’s training and the teachers she has studied with here. Courtney views yoga as a practice that deepens one’s awareness of themselves on the mat so they can carry that awareness with them everywhere. Her goal is to help others discover yoga and take from it what they need in the present moment. She pulls from her knowledge of a variety of yoga styles to help students find an engaging and challenging yet relaxing practice that helps deepen awareness of themselves and quiet the mind. Her signature style is Flow & Hold® Yoga, but she also teaches many other styles to help students find exactly what they need. Play and finding different ways to experience movement in the body are key components to Courtney’s teaching style. 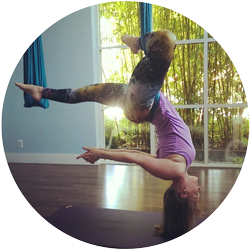 In addition to bringing this playful nature to the mat, she teaches aerial yoga, SUP yoga, and yoga wheel classes, helping others tap into their playful sides, face their fears, discover new strengths, and understand how their body and mind shifts in these different conditions. Whether a student is looking for a workout, rehabilitation, healing, relaxation, to disconnect from the world or reconnect with the inner-Self, Courtney functions as the guide to help you discover the path that leads to your destination, deepening your connection and trust of your own inner intelligence along the way. 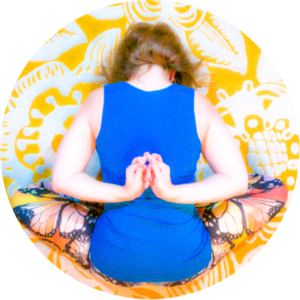 Check Courtney’s schedule and workshops to find her teaching in the South Bay, or connect with her to schedule a consultation for personal yoga instruction. Rather guide yourself? 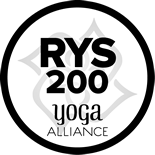 Sign up for the Om Fairy newsletter to get access to the latest videos and articles Courtney has shared.